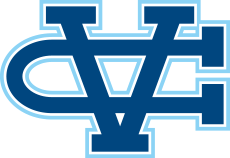 Sunnyvale, CA - The Valley Christian Warriors opened league competition at Balylands Park in Sunnyvale, Wednesday. Facing many of the top teams in the section, it was another strong day of racing that saw multiple team records fall. 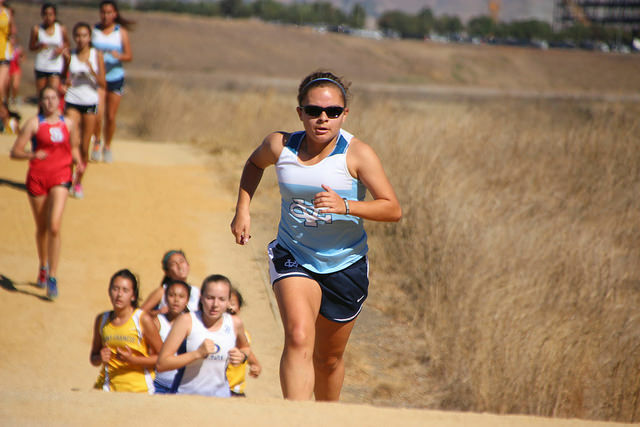 The varsity girls have been on an upward trajectory this season previously medaling at the RLS and Pacific Tiger Invitational. 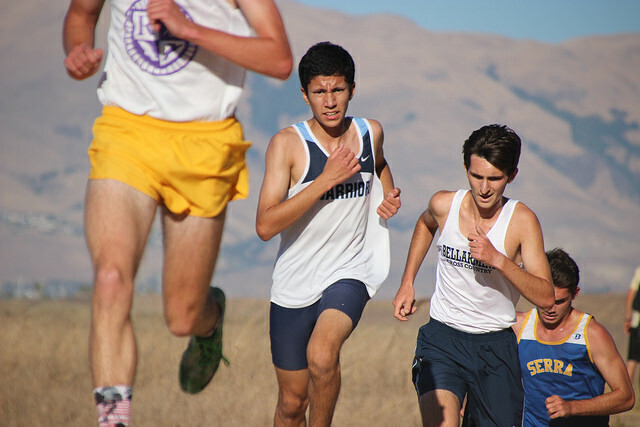 The trend continued as five of of the six fastest time times in team history were recorded for the Baylands course. It was a fast start in the varsity girls race that set the tone early. The Lady Warriors responded. Mackenzie Thomas went with the lead group opening her race with a 6:06 mile with the entire team in tow coming through under 6:30 in the chase pack. It was a war of attrition in the later miles as the team held on from the fast start. In the end the top three fastest times in team history were recorded. Jordan Han, Mackenzie Thomas and Sophia Patterson all got under the previous record set by Brianna Becerra last year. Kaylan Nanez ran the #5 time in team history and Hannah Theaker #6. It was a strong day for the boys as well as Sam Cuevas bettered the team record set last year by Joe Renati. When asked what his strategy was going into the race he responded, "suicide pace." Taking charge of the race through the first mile, he actually led for portions of the race, he maintained a top 10 position through the first three miles. 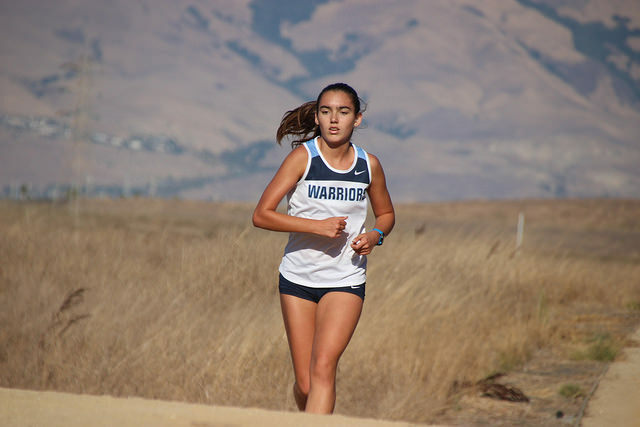 It was not quite of a reckless strategy as the comment would imply, the senior held on to run a school record for the Baylands course finishing in 16:58. His time was a 32 second personal best. Wesley Deffenbaugh had another impressive showing running the 5k Baylands course in 17:40. His time is the third fastest in team history. Ben Buckman is getting closer to the coveted sub 6 min mile pace running his first ever 5k in the 18's. The junior who is in his first year running finished in 18:51, which averages out to 6:02 per mile. He earns recognition on the team's all-time list at #14. Freshman Katelyn Stone earns recognition on the team's all-time list at #14. She finished 22:00 in the varisty girls race. The top freshman boy finisher was Jonathan Pappas in 19:37. 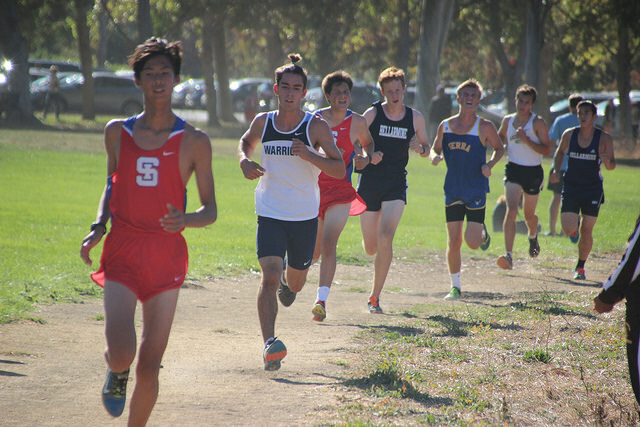 Ragav Saran improved an impressive 3:04, Brandon Gaedke 2:30. 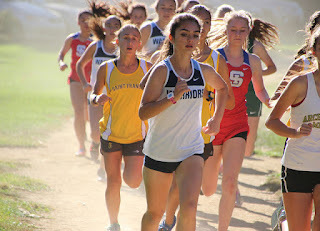 Remy Ascencio was most improved for the girls bettering last year's time by 2:32.